Joe A Day reader and frequent commenter Skymate recently sent in a Christmas care package that included two cool custom figures. One of them was a modern interpretation of his moniker. Skymate is one of those 90s Joe figures that doesn’t get much thought in comparison to other figures. 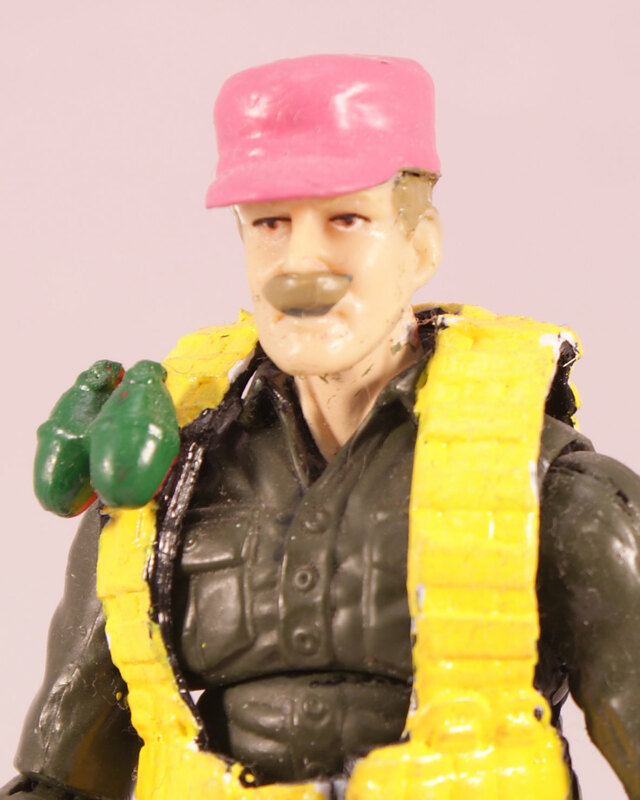 Part of the Air Commandos pilots, the original is an interesting mix of color and accessories. In fact, I’ve found his boomerang to be one of the most difficult weapons to track down. That’s the reason I have yet to cover the original figure here. The easiest way to attain the missing bits is to buy a complete figure, and complete Skymate figures can fetch fairly large prices compared to their popularity. This modern remaking of the figure hits all of the hallmarks of the original. From the yellow harness, to the green bow to the hot pink hat (which I love in any format!) the color scheme matches its inspiration. I particularly like the added knife, which brings to mind the first figure’s unique forearm mounted blade. 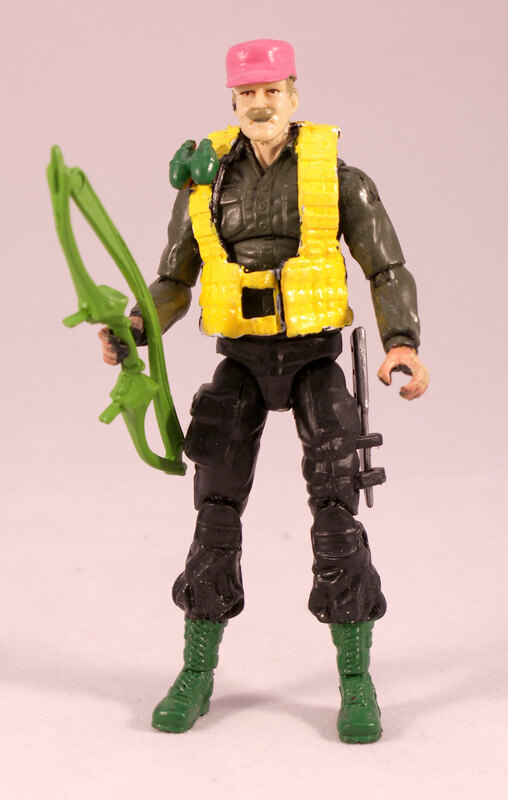 Speaking as a customizer whose history goes back to the dark ages of the 90s, I can say that the modern GI Joe construction style is a wonderful playground for a creative fan. With an easily disassembled base body, and a huge library of removable harnesses and accessories, the possibilities are endless. Sure, grinding and sculpting are still necessary sometimes to achieve the results one is looking for, but to me there’s a lot of fun to be had in finding just the right recipe of parts. Great job, Skymate, and thanks again, for the custom as well as your support of this blog. Modern customs are easy to make. I should have put a drop of watered down “Warlock purple” on his hat to make it stand out more. Having built and painted an apocolyspe scale Emperors champion/noise marine army i have become an expert with different tones of pink. So. Does anyone else want one? Great recipe, and the colors really nail the character. Skymate seems a shoe-in for treatment in the Collector’s Club FSS sometime. He’s an obscure character with a growing fanbase. Nice job! Terrific choice of parts! Nice work mate. I’m still happy with my o-ring version (including boomerang).